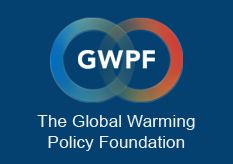 The GWPF has published the world’s first State of the Climate Survey based exclusively on observations rather than climate models. Compiled by Professor Ole Humlum, the new climate survey is in sharp contrast to the habitual alarmism of other reports that are mainly based on computer modelling and climate predictions. Ocean Surface Temperatures: How Low Will They Go?